This past Friday, Kathy & I visited the U.S. Space & Rocket Center in Huntsville, Alabama. While there we toured various NASA facilities including the Control Room at the Payload Operations Integration Center at NASA Marshall Space Flight Center. 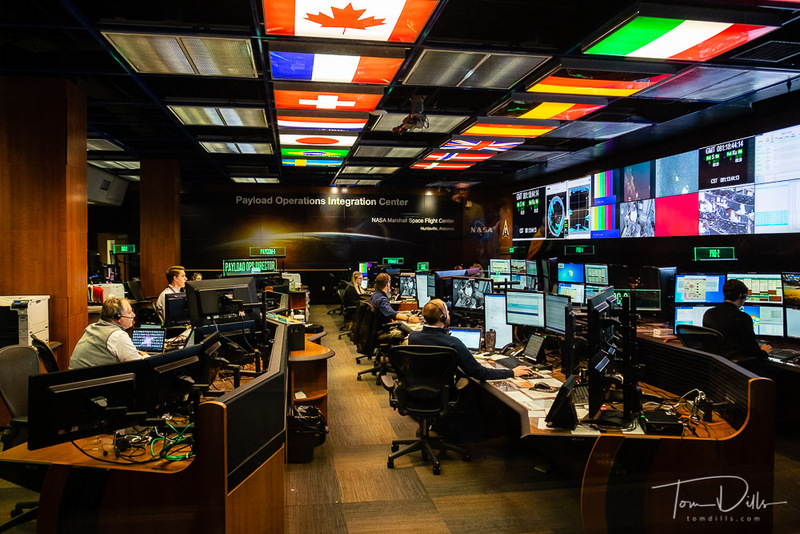 This is where all of the communication with the International Space Station regarding the payload and experiments takes place. It was very interesting to see. While we were there, the astronauts aboard the space station were returning from a space walk. 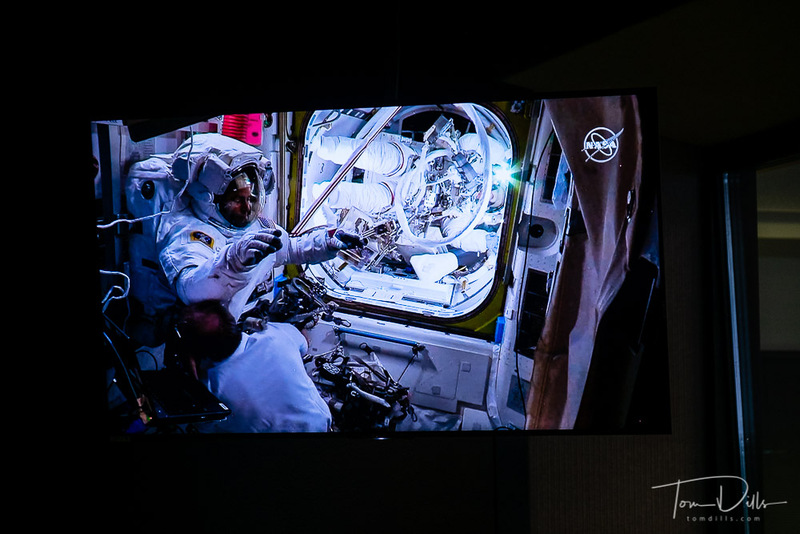 We were able to see live video of them returning to the ISS through the airlock and beginning the process of removing their suits. Quite an unexpected treat! Wow, what a cool experience. Would be rather cool to work there too I imagine. I really like the bottom photo. I realise it’s only a photo of a monitor but I like how you shot it and I would consider it a great souvenir of the experience you had. It was quite an experience, for sure. I think some of that video may be available in replay form on NASA TV, but I don’t think the live feed is available except internally. It was something to remember! Wow! Years ago I did a project for them while I was working for Hewlett Packard. It’s an interesting place full of interesting people. Plus history!